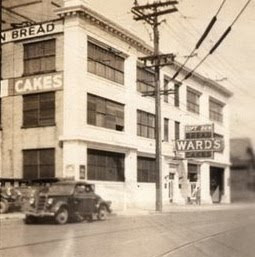 The Old Ward Bakery has come a VERY long way in 7 years. 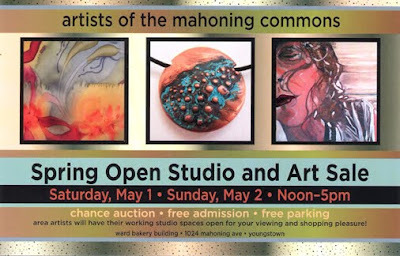 We now host over 30 artists from Youngstown and guests from outside the city with paintings, drawings, jewelery, prints, ceramics, photography, custom woodwork and a wide variety of craft items on display. Jerry Treharn will be offering tours of his fine, hand crafted, Victorian Era furniture woodworking shop at 2pm daily. Lynn Cardwell will be demonstrating the outdoor technique of Raku ceramic firing, using combustible materials. Tony Armeni will have his large scale, award winning, kinetic sculptures on display also. Tentative lists of aritsts and companies: Marcie Applegate, Tony Armeni, Amanda Baker, Lynn Cardwell, Jaci Clark, Jim Cliff, Jenn Cole, Gabriel Crish, Nancy Crish, Pat Crowe, Enjoy Cupcake, Patti Green, Maryann Cox-Limner, Patrick Hyland, Nick Levinsky, Robyn Maas, Sharon Meenachan, Stepanie Moore, Angela Pandolph, Scott Pergande, Sandpiper Soap Co., Sunburst Selections, Matt Skilman-Ohio Flame, Tracy Segreti, Fred Shepherd, John Henry Strudwick-Chef, Georgia Tambasis, Jason Van Hoose, Ed Villabona and Noreen Yazvac. Perhaps the most popular event is our Chance Auction. Every participating artist is required to donate an item, which means you have the opportunity to win high quality art objects for a fraction of their value. Jerry Treharn donates fine furniture to this auction as well so don't miss out. Tickets are $1 (one dollar) each or 6 for $5 (five dollars). This is a FREE event with plenty of Free PARKING with FREE shuttle service provided by the PURPLE CAT from NOON till 5 PM both Days.